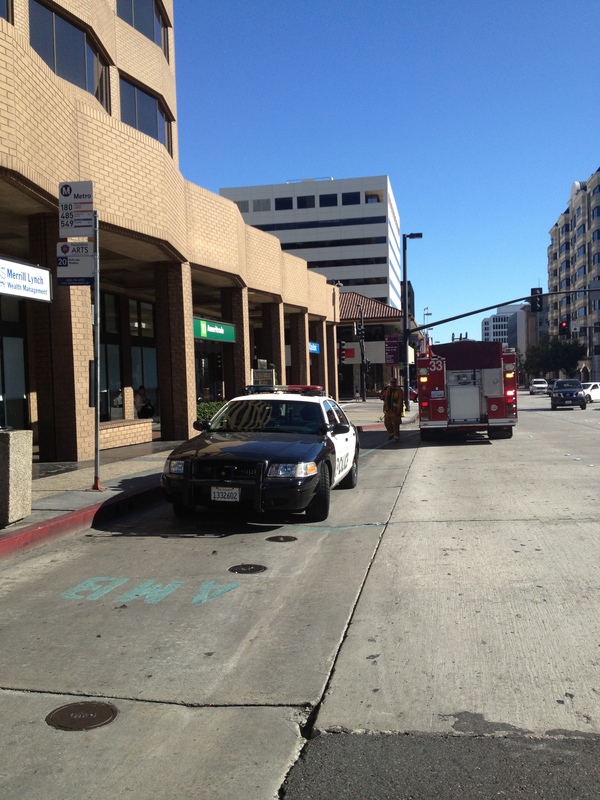 PASADENA — An envelope containing a mysterious powder prompted the evacuation of a Pasadena law office Wednesday, officials said. The discovery if the envelope was first reported about 3:45 in a law office on the 9th floor of 2 N. Lake Ave., Pasadena Fire Department spokeswoman Lisa Derderian said. The envelope, which had writing on it in a foreign language, contained a substance that officials initially suspected may be some type of chili power or flakes, Derderian said. Four or so office workers complained of skin irritation, which quickly subsided. Pasadena Fire Department officials, with help from Burbank firefighters, took a look at the envelope and decided to call in Los Angeles County sheriff’s hazardous materials crew to investigate, “out of an abundance of precaution,” Derderian said. The affected law office was evacuated, she said, however other businesses in the building remained open as the investigation continued Wednesday afternoon.